Mookrata, a new pop-up, has opened in the space above Shuang Shuang at 64 Shaftesbury Avenue, taking the place of the Yamagoya noodle pop-up that has now moved to a permanent site. Mookrata literally means Pork Barbeque in Thai, and the new six month pop-up will allow friends to cook together on a grill, and have a traditional hot pot. It's open daily from 12 noon - Can't wait to try this one! "This December, Fah Sundravorakul, Founder of hot pot specialists Shuang Shuang, will launch a brand new pop up, ‘Mookrata’, on Shaftesbury Avenue, bringing a delicacy from his native Thailand to London for the very first time. 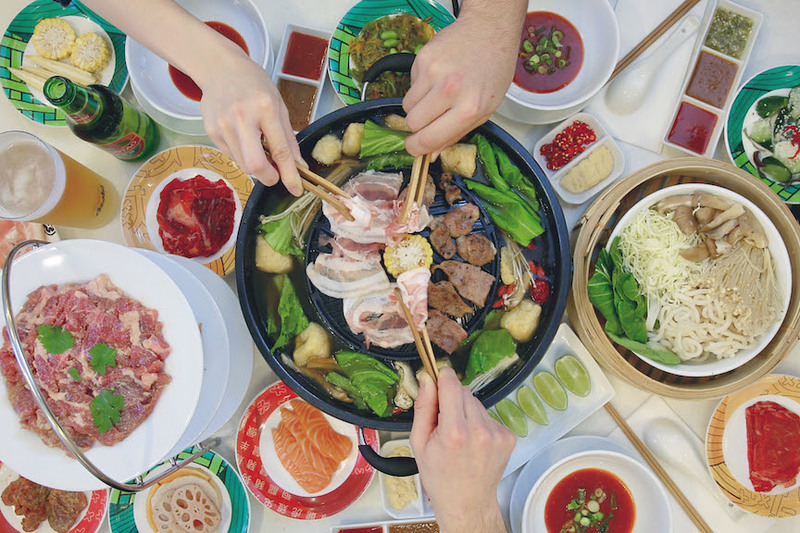 Popular amongst locals in Thailand and drawing influence from China and Korea, Mookrata combines a traditional hot pot with a Korean barbecue, allowing guests to cook together, whilst creating their own combinations. 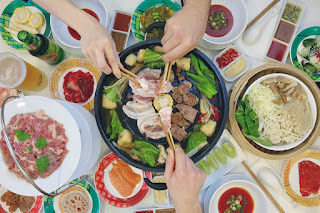 Traditionally shared between families and friends, diners are seated in groups around a hot pot of simmering broth, with the grill dome in the centre. Sliced meat including marinated pork, pork belly, black pepper beef and rib eye can be cooked on the grill, using tongs, while other meat cuts and vegetables such as Choi Sum, Julienne cabbage and assorted mushrooms are cooked in the soup. To complete the dish, diners can choose from a selection of nam chim, spicy Thai dipping sauces of Lime and Chilli, Hot & Sour, and a special Mookrata sauce. All combinations are possible but recipe cards are also available to recreate Thailand’s traditional and most loved combinations."